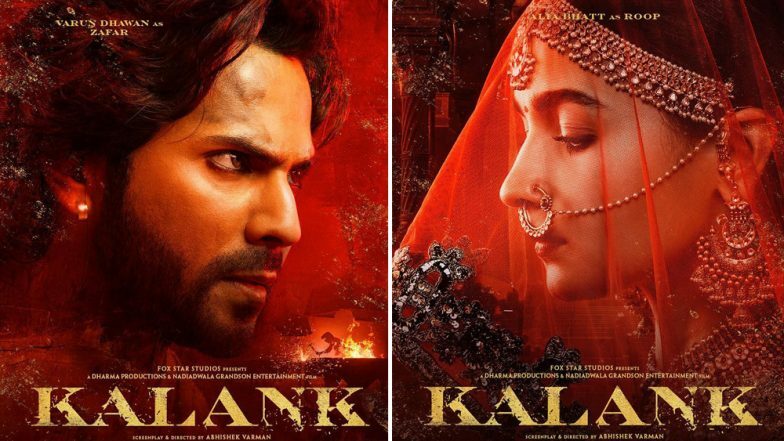 Box Office Prediction: Will Varun Dhawan and Alia Bhatt's HIT Jodi Ensure the Biggest Opening For Kalank? Another interesting aspect about this magnum opus is its stellar star cast. The fact that Madhuri Dixit and Sanjay Dutt will be seen together on the big screen after two long decades has got everyone excited. But from whatever little that we have seen of the film so far, it seems Kalank is more about Alia Bhatt and Varun Dhawan's tragic love story. So it's pretty clear that these two will be dominating the screen time. Now that's a good thing because Alia and Dhawan's jodi has so far only tasted success at the box office. Well, trade pundits have predicted that Kalank will open around Rs 20 crore on day 1. If that happens then obviously Akshay Kumar's Kesari will remain the biggest opener of 2019 as it collected Rs 21 crore on the day of its release. However, if the magnum opus garners good reviews during the morning shows then there is a possibility that the film would mint more than Rs 21 crore. Also, Kalank is releasing on Wednesday but it's a partial holiday due to Mahavir Jayanti and that would certainly boost the collections. Plus, it's a solo release so audiences will throng the theatres to watch the film till the weekend. Overall, Kalank is well placed at the box office considering all the factors. The next film that will come out in theatres will be the Hollywood biggie Avengers: Endgame but it will arrive after 9 days. Till then Kalank will have all the time in the world to rake in big moolah without facing any competition. Even if the film doesn't turn out to be extraordinary, it will still make good money as there won't be any other choice for the masses at the cinema halls.